to size in 2/3/4cm and so on. Surface finishing: Polished, honed, bushhammer, sandblasted, pineapple, brush and antique. 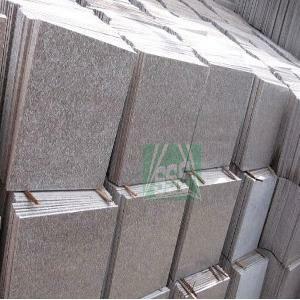 We also supply granite material as: G603, G682, G633, G623, G654, G635, G636, G664, G614, G611, G687, GG655, Tiger skin wave granite, spray white granite, China juparana granite, marple red granite and so on. Payment: 30% T/T deposit, 70% balance T/T against B/L Copy or L/C at sight. Packing: Strong Fumigated Wooden crate with Plastic film and foam. As one of the professional stone manufacturers and exporters in Xiamen, the biggest stone business center of China, we are mainly specialized in granites, marbles, granite tiles and slabs, granite floors, granite countertop, granite sink, granite tombstone from China and also other countries; Meanwhile we are engaged in the business for limestones, culture stones including sandstone, slates, quartzite as well.